NetSuite shows no signs of resting in its laurels as it continues to be recognized among its peers. Early last month, NetSuite was included in the latest Forrester Wave: B2B Commerce Suites for Midsize Organizations as a Leader for the 3rd quarter of this year. “Instead, companies can shift their focus and resources on what’s truly important—growing the business and providing superior customer service. Additionally, as companies explore new business models including B2C, SuiteCommerce is a solution that will continue to support their needs,” he said. 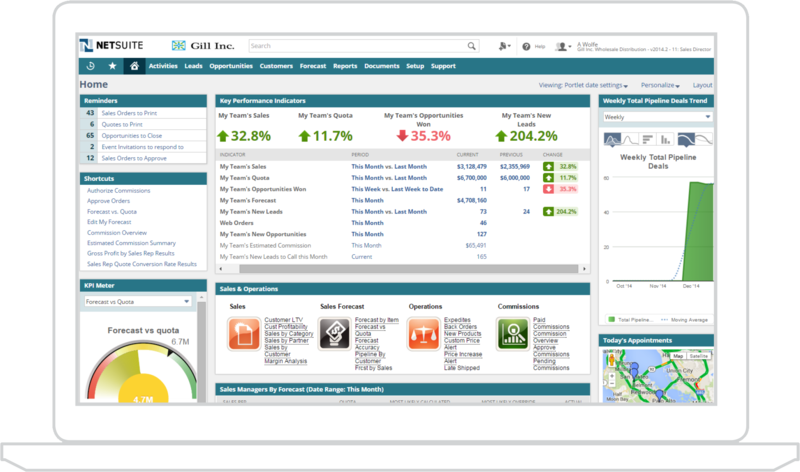 In the report, Forrester Research said that Oracle NetSuite's SuiteCommerce Advanced Solution is the best-fit for mid-market B2B customer that are looking for an easily-configured and value-priced multi-tenant software-as-a-service commerce suite that works seamlessly with NetSuite's widely-deployed ERP solution. Forrester Research is one of the largest and most respected research organizations focusing on technologies and software. Its Forrester Wave report included 11 of the most significant vendors and evaluated them based on 35 different criteria and measured how each provider measures up and helps digital business professionals at mid-market B2B companies make the right decisions. Also included in the report are BigCommerce, CloudCraze, Episerver, Handshake, Insite Software, Intershop, Magento Commerce, Sana Commerce, SAP Hybris, and Unilog. Among NetSuite SuiteCommerce's key benefits include just maintaining a single platform for both B2B and B2C sites, tailored pricing, terms and credit limits to buyers online and synchronize them with what you offer them online, streamlined quoting process, automated and expedited billing process, global support to help you expand your business internationally with automated tax collection, and a single source of data. Extra Vision is a NetSuite Certified Partner and Italian Localizer that developed the well-received and comprehensive NetSuite Extended Italian Localization (Nexil) that allows organizations operating in the Italian market to simplify compliance with government and fiscal reporting requirements.